You are here: Home / Role / Tech-Savvy CFO / Are You Ready To Be A Tech-Savvy CFO? Times are changing, and there is more technology available at your fingertips than ever before. It is important to be as Tech-Savvy as possible as it will allow you to sustain growth and accelerate your company by being in better control of your finances every step of the way. Things have changed a lot in the past 10 years, and understanding some of the new changes are capable of making a dramatic difference in how you utilize market innovation. CFO priorities have changed over the past 10 years. In 2005, there were still more of a focus on reporting, planning, capital structure, and audits. Today, it’s all about corporate strategies, risk management, as well as capital allocation. 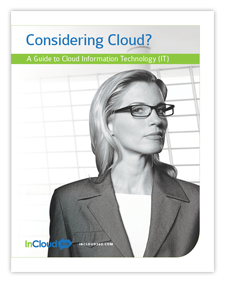 Even business metrics are different, and much of this has to do with cloud technology. Smartphone penetration was only in 2% of the market 10 years ago, and now we are at 74%. This shows that people are consuming information in new ways. People do not depend as heavily on desktops and laptops, now moving more towards smartphones and tablets. We are in a world now where there are 1.44 billion Facebook users, and Twitter didn’t even exist 10 years ago. It is imperative that you gain as much insight into the finances of your business as possible. While you could continue to use the same software you have for decades, it may not provide you with the adaptive insight that you need in order to forecast and create meaningful plans of action. Cloud ERP solutions are available that have the ability to provide you with more information, including dashboards, trend indicators, and much more. The information is available at your fingertips, providing you with details on sales, and allowing you to make recommendations to the various executives within your business. The sooner you become tech savvy, the sooner you can gain valuable insight that will allow you to leave your business and take control of the growth that you know your business has the ability to obtain. Too many companies don’t have the reporting that they need, and they are falling behind. They are making decisions on the fly, and these decisions can often backfire because they are not made with confidence. It’s going to be a lot better if you have hard information in front of you so that you can make better decisions. Comprehensive automated solutions are already in the marketplace, and it can provide you with insight that you weren’t able to get 10 years ago. Embracing all of the latest and greatest technology will allow you to stay ahead of the curve. The last thing you want is to have another company take away your business because you weren’t able to address a problem or take the necessary plan of action. As a CFO, you control the money. However, if you don’t know enough about the revenue, the spending patterns, or anything else, you will not be truly in control of anything. As a matter of fact with the right visibility, you have the ability to transform and modernize the business systems as well as the IT infrastructure of your company. This is going to provide you with a significant amount of flexibility, boost staff productivity, and ensure that you are prepared for any challenge that may come your way. Data can be aggregated, segmented as necessary, and ensure that you have access to real-time data so that decisions as well is planning can be more efficient all around. Learn more about Cloud ERP and the technology that can help you succeed by contacting InCloud360 today.